There are currently 8,090 users on this website. What would you call this? Deteriorating die? I've searched a couple threads but didn't find anything resembling this dime. Always appreciate your help/advice! What is the weight? 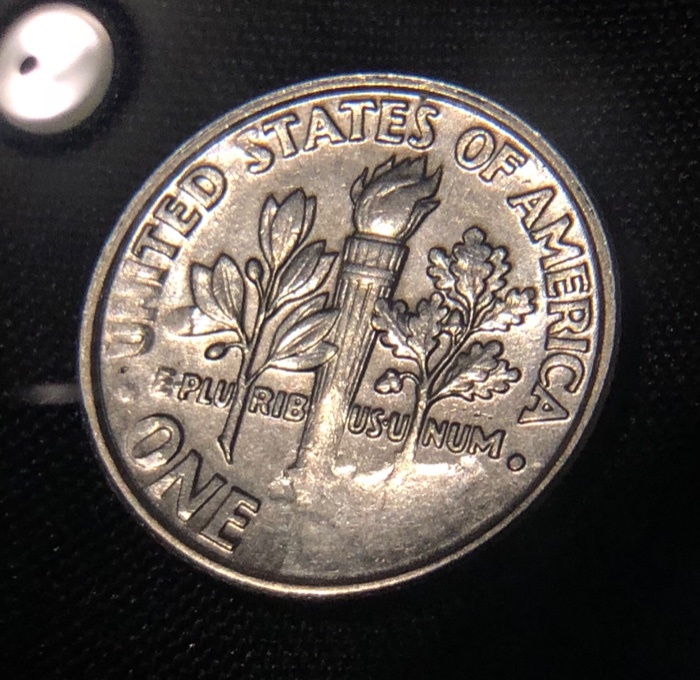 If it is normal for this coin, then it might be a struck through grease error. If it is under weight, then it might be worth a lot more. It looks like a Struck Through Grease issue. If it is, then it would be a keeper, and would be worth a premium. As said, we'll need the weight of your coin to rule this out 100%. @coop the weight is 2.30g. 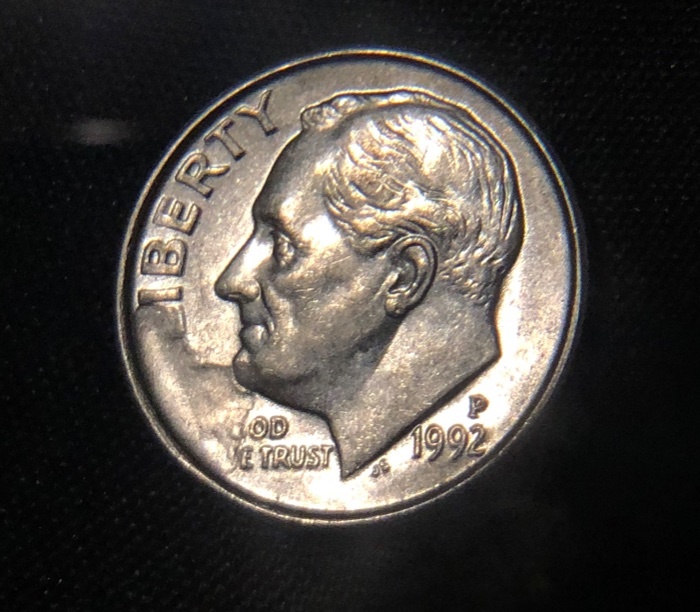 Most other dimes were in 2.5-2.7g. What's the normal weight for these? You can edit your previous post instead of making a new one. pencil and pad and make your correction and repost. The weight is pretty close to the normal weight, which would be 2.27 grams. It's indeed a Struck Through Grease issue. Thank you Jimmy. I was looking for edit option but couldn't find it. Erroers and varietys, so does it make it an "error" or is it common?